A couple of cosy days in the UNESCO Winter Paradise! Snow-covered landscapes invite you to chill out. And also to be a bit active and discover the one or other new winter sports. This and more is the "Magic Winter Dream". 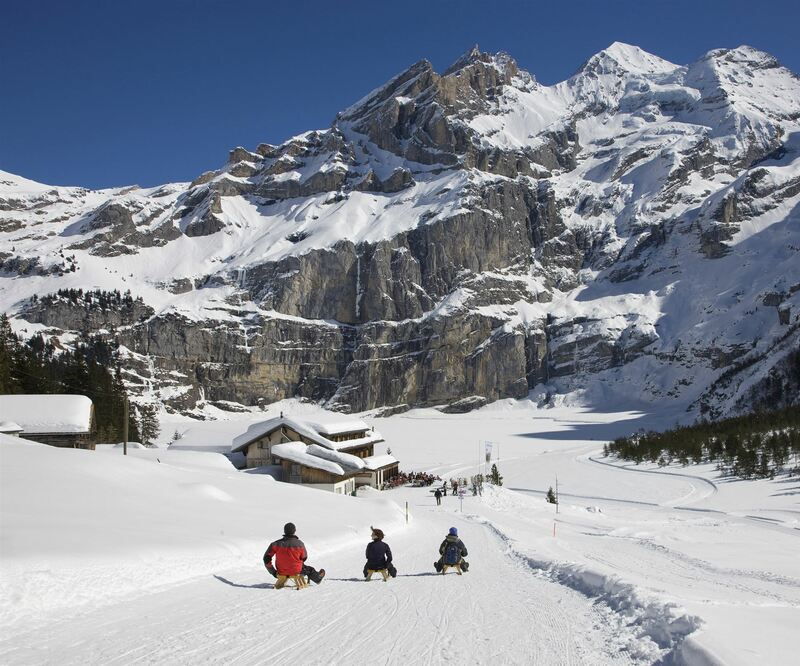 The program includes a torch walk on the first day, a visit of the lake of Oeschinen with the legendary UNESCO Ice Walk and a sleigh ride down to the valley on the second day and the curling fun with a fondue evening on the third day. Arrival only on a Monday, Tuesday (without torch walk) or Sunday (4 for 3 offer) possible. From 7th – 19th of January and from 25th of February till 18th of March 2018 we will give you a free overnight stay as a present when arriving on Sunday. Our tip: Enjoy a tasty Tatarenhut (the unique table barbecue party) à discretion in our restaurant Ritter on Sunday evening. Information about the UNESCO Ice Walk can be found on the following website: http://www.oeschinensee.ch/unesco-ice-walk/. Please note that the lake is only released if the ice thickness is more than 12 cm throughout. As an alternative to curling, you can also book a cozy afternoon on the skating rink(Including skates rental).